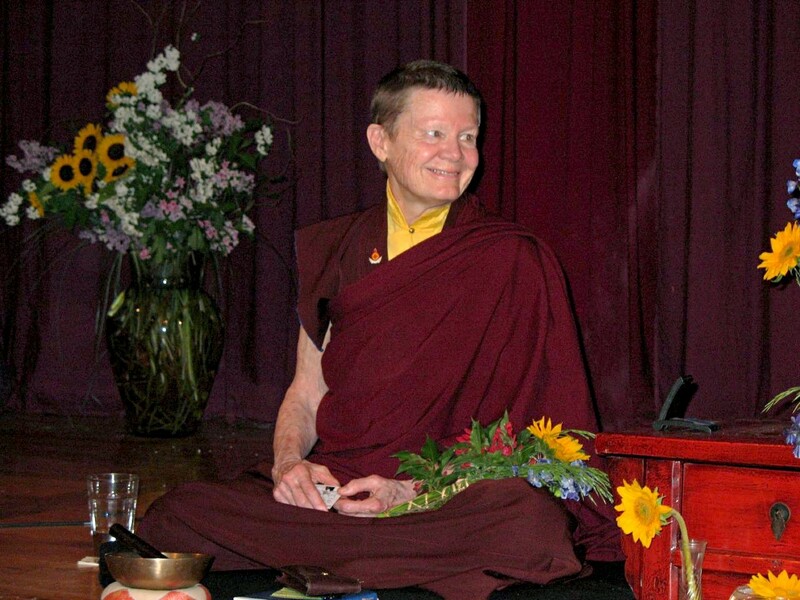 If you’re divorced, widowed, or have ever gone through any kind of rough patch in your life, chances are you’ve been given a copy of a Pema Chödrön book—or at least been advised to read one. Published in 1997, the Tibetan Buddhist nun’s modern classic When Things Fall Apart: Heart Advice for Difficult Times landed her on Oprah’s Super Soul Sunday in 2014. Chödrön’s other acclaimed titles include The Wisdom of No Escape and the Path of Loving-Kindness (1991), Start Where You Are: A Guide to Compassionate Living (1994), The Places that Scare You: A Guide to Fearlessness in Difficult Times (2001), and No Time to Lose: A Timely Guide to the Way of the Bodhisattva (2005). (All of her books were published by Shambhala Publications, Inc.) But before becoming a best-selling author and sitting down to chat with Oprah, Chödrön was a Solo Mom of two children going through a hard time of her own. Chödrön now has three grandchildren and has dedicated her life to helping others navigate the difficult passages of their own lives. Her message is simple: instead of running away from our fear and pain, we can sit with them. “To stay with that shakiness—to stay with a broken heart, with a rumbling stomach, with the feeling of hopelessness and wanting to get revenge—that is the path of true awakening,” says Chödrön.